Devotion to a highter power is a powerful part of any fantasy campaign settings, whether that force is a deity on high or nature itself. Those who dedicate themselves to these ideals can call upon potent abilities indeed - from healing grievous injury and smiting the wicked to shape-shifting and commanding the very elements. 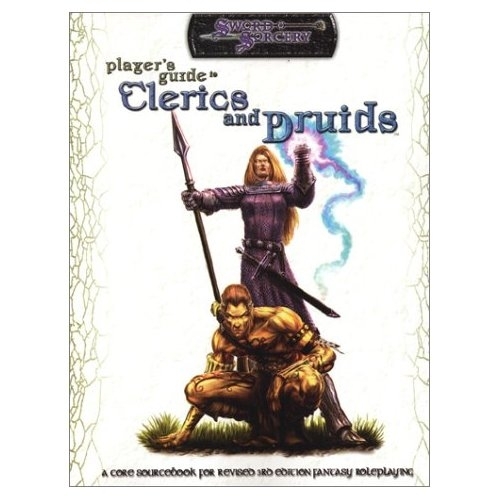 This sourcebook in the player's guide series from Sword & Sorcery studios details the amazing gifts granted to those champions of faith - pious clerics and devoted druids.